Information The Hubbards Barn Association is a non-profit organization for the benefit of the community of Hubbards, Nova Scotia and surrounding area. Its purpose is to promote the Barn and its land for community activities, and to maintain and improve the building and property while retaining its heritage value. 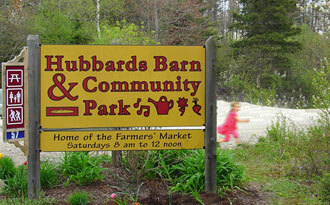 Membership in the Hubbards Barn Association is open to all. The annual membership fee is $10. Memberships expire each year at the Association’s annual general meeting. You can join at the Farmers’ Market. By becoming a member, you are not only providing financial support for the work of the association. Your membership also demonstrates your belief in Hubbards Barn and Community Park and gives you a voice in the running of the association and the future of this wonderful facility. Many members also choose to be volunteers. The association is managed by a volunteer Board of Directors. The Barn and its property is available for day use by artisans, auctioneers, fitness instructors, craft instructors, private weddings, family reunions, and craft workshops. 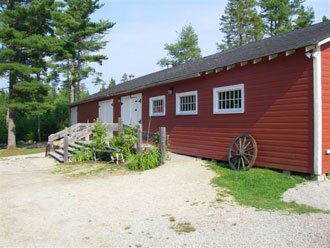 The Barn has been used for weddings, art shows, a Matt Mays video shoot, community events, a business expo, a 4H Club Rabbit Clinic and barn dances. It’s a great venue for casual, summertime attractions! Hours Market: Saturdays, 8 am-12 pm, Mothers' Day weekend in May to October.